I don’t think anyone wants a cheap massage so much as they want an inexpensive high quality session. 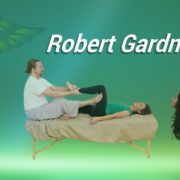 As a massage therapist who has worked in various facilities in my fifteen years I’m going to give you insider information on how to get the most for your massage dollar. If you have insurance you need to check with your insurance company and see if they cover massage as part of a wellness plan with a chiropractors office. If your insurance does this is absolutely the cheapest way to get regular work. Find a local massage school and go to their student clinic. Most schools like Lauterstein Conway Massage School here in Austin have a student clinic where current students are practicing towards getting their license. Currently they charge $40 for an hour and that’s some of the least expensive in town. When you go you’re free to ask for a student who may be near the end of their clinical hours. That means that they have the skills just no license as of yet. Pick the therapist whose work you really like and give them a business card with your name and contact info on it. Tell them to contact you as soon as they get their license because you’d like to hire them for regular sessions. Most therapists who are starting out would die for a few regular clients to pad their practice and it’s a great way to pitch to the therapist that you’d like regular work at such and such a rate however regularly you prefer. This is the sweet spot because a seasoned professional is usually busy enough that they’re less inclined to give discounts. If you check your local schools you can find classes that are usually for massage therapists. In many cases you can take these classes and receive some work while you learn. If you’re open to taking classes with your partner it’s inexpensive to find a used table on craigslist and practice on each other. In fact, if you find a therapist who’s willing you can get someone to visit and teach you to work on each other. I personally run an event in Austin called Thai massage jam® where I teach people how to work on each other for nearly free. You can get information on those events as they come up. Join us on Meetup and on Facebook. Beyond that I’m amazed at how few people use youtube as a resource. Youtube videos go all over the map in their audio and video quality but there are many therapists like myself who put out quality videos showing you how to work on a table or off a table. As in all professions, you do get “what you pay for”. If you want an expert with years of experience or with a specific advanced training, you will no doubt be paying $75 or more per hour – and many advanced practitioners are certainly worth it. I hope you find the massage you’re looking for. Ask around. Talk to people and keep searching. Your therapist will be happy you did. 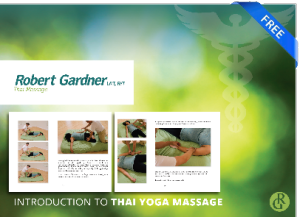 What is Thai massage again?